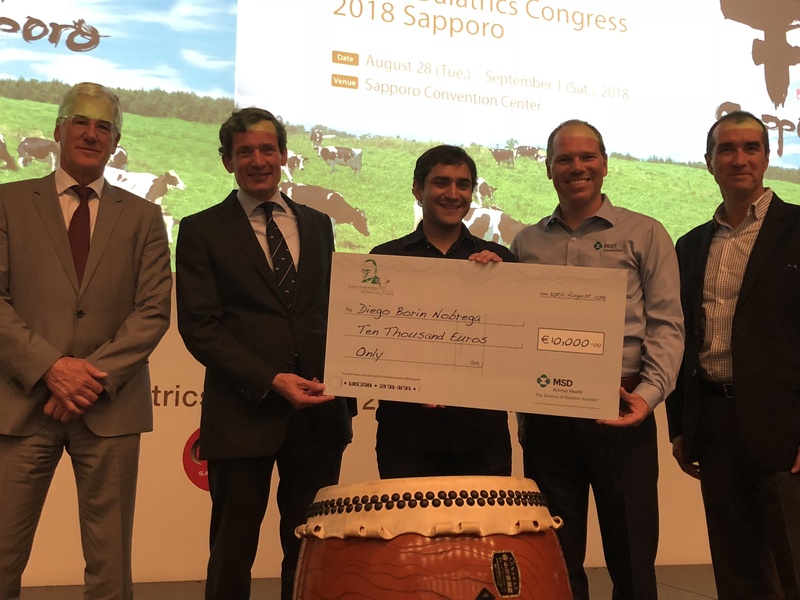 This year’s 2018 Gustav Rosenberger Award was presented to Diego Borin Nobrega from Brazil. The Award, a grant of €10.000 will be used for a study into possible associations between antimicrobial use and resistance in dairy cattle. The focus will be on Streptococcus ssp., one of the most commonly isolated pathogens in Brazilian dairy herds. 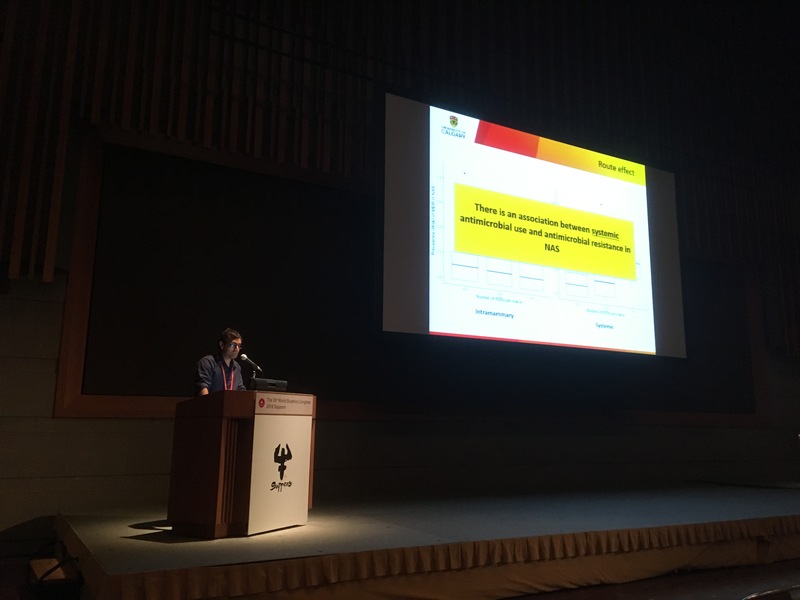 The award was presented by Jeroen van de Ven, representing MSD Animal Health and Prof Theo Lam, chairman of the Board of the Gustav Rosenberger Memorial Fund during the World Buiatrics Congress 2018 at Sapporo. The Gustav Rosenberger Memorial Fund provides an annual grant to a young and promising veterinarian, preferably from a country or area with suboptimal possibilities and is sponsored by MSD Animal Health. 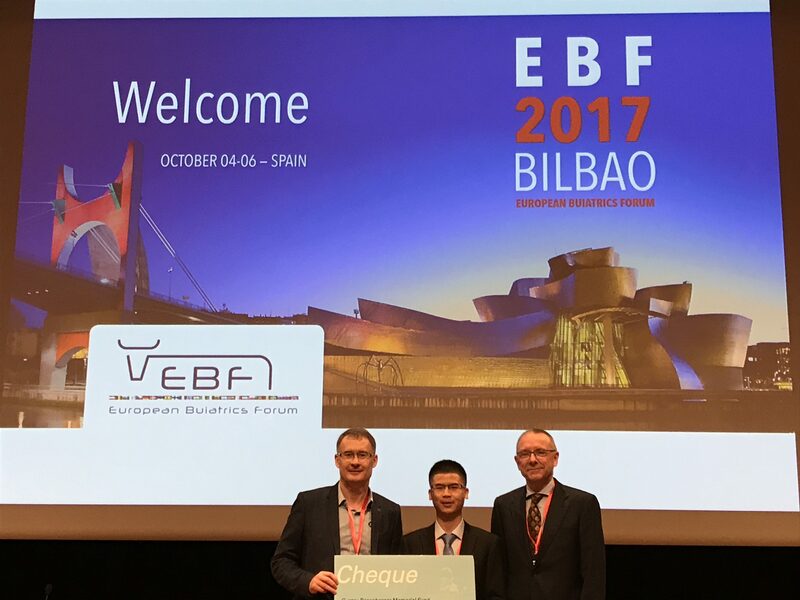 The next grant of €10.000 will be presented during the European Bovine Conference at Den Bosch (Netherlands). Deadline for the submission is April 1st 2019. If you are staff member and interested in hosting a veterinarian or to improve your veterinary education yourself, please visit our website www.gustavrosenberger.com or contact the secretariat, secretary@gustavrosenberger.com, for more information.